VILLAGE SHOP - lots of lovely Cards and Easter Eggs and a new range of Main Meal products now in. 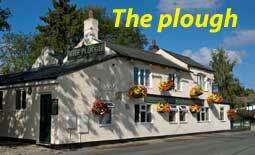 THE PLOUGH – are taking bookings for Easter Sunday Lunch . Not forgetting their Fish/Chip and Prosecco Night every Friday. 01494-774408. HYDE HEATH VILLAGE SOCIETY - annual Litter Pick will take place on Saturday 27th April meeting at 10am at the Flagpole on the Common. Please come along and help clean up our Village ready for the FETE which takes place on Saturday May 11th. MAUNDY THURSDAY 18th April at 7.30pm is Solemn Eucharist . EASTER SUNDAY 21st April 8am Communion. Sung Eucharist with Lighting of the Easter Fire. 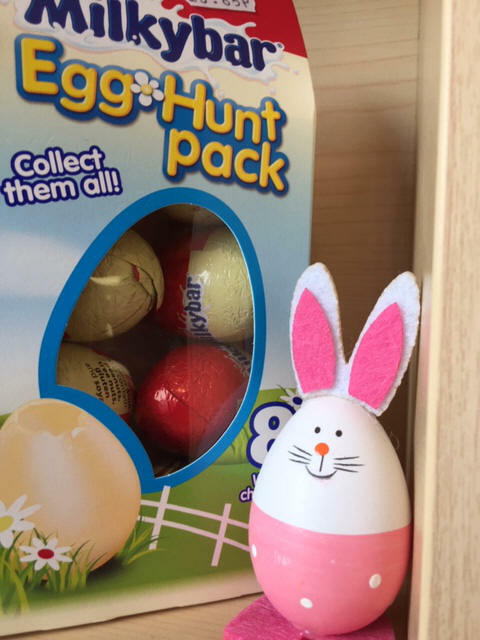 Easter Communion 10.30 am Service followed by an Easter Egg Hunt . THAMES VALLEY POLICE - Chiltern Community Forum 23rd May 2019 6 – 8pm Chiltern Hills Academy. Chartridge Lane. Chesham. HP5 2RG. This is your opportunity to make your views known ,find out about local policing and help set their priorities. SCAMS GOING AROUND AGAIN - “Allegedly” from “BT” informing the householder that their Broadband will be terminated. All the more interesting if you are not with BT. T/phone number :- 01848-838741 – unobtainable of course. TV Licensing is another “doing the rounds”. Sounds all very plausible so do read/listen carefully. PRESTWOOD home-made GOURMET meals. 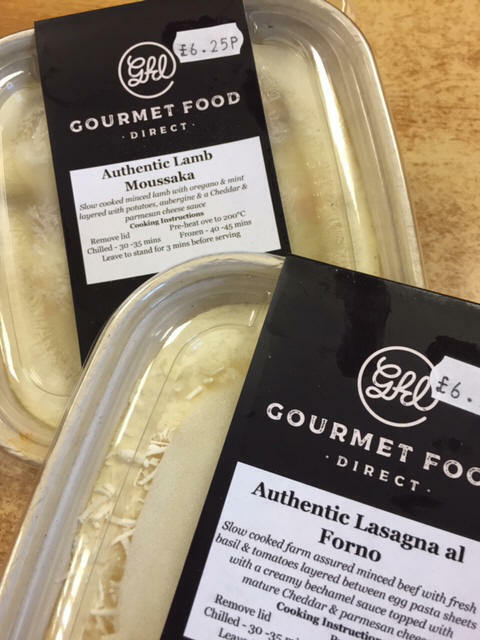 Lasagne: Mousaka and Vegetarian. MOTHERS DAY display of cards and gifts to show your appreciation to your Mum on Sunday 31st March. No excuse - these are on your door-step. Bookings being taken for MOTHERS DAY meals. FRIDAY NIGHT is FISH & CHIPS NIGHT. £8 . Prosecco £15 a bottle. 5 Lent Groups will meet this Thursday 21st March at St. Andrew's Church, Hyde Heath from 7.30pm - 9pm and thereafter for the following 3 Thursday's , concluding with a short service of Compline. A list of names will be laid on the altar and blessed. Take a look at the Hyde Heath Community page and see how the BEAVERS GROUP enjoy their activities. Contact Tim Wye for further details. FREE TASTER MUSIC LESSONS organised by the UK's Music for ALL CHARITY. WELCOME TO THE FIRST DAY OF SPRING . NOT VERY SPRING LIKE BUT THAT CAN ALL CHANGE. A lovely display of cards and gifts for MOTHER'S DAY are on show and available in the SHOP. Your Mother works hard for you all the year round so do give her a card and present to show your love and appreciation . Sheena and Chris are taking bookings for Mothers Day Lunch. Get in quick before they are fully booked. Friday Evening is FISH and CHIPS NIGHT at £8 with a bottle of Prosecco at just £15. End the week with a relaxing evening in The Plough. Gt. Missenden Baptist Church will be giving a FILM SHOW in aid of Christain Aid week on Monday 18th March at 7.30pm. “HIDDEN FIGURES” the true story of 3 African American women working for NASA who served as the brains behind the launch into orbit of astronaut John Glenn. The Baptist Church is situated between the Cross Keys Pub and the Chemist. This is a very good film which highlights the gulf between men and women in this field at that time. Lt. Missenden Evening Service 6pm. AMERSHAM MUSIC CENTRE LEARN TO PLAY DAY. Not strictly village news , but newsworthy. Women's World Day of Prayer in on Friday 1st March and all are invited to join Lee Common School at the Lee Old Church (behind The Lee Church) at 1.30pm for a service prepared by the women of Slovenia “Come Everything is Ready”. Ash Wednesday 6th March will be a Solemn Eucharist for the first day of Lent . According to tradition all Christians throughout the world will receive the sign of the cross upon their forehead as a sign of their preparation for Holy Week and Easter. The Beaver Colony need new adult helpers to assist run their adventurous programme. It is currently run by a Father and Daughter team and they do need help. Contact by messenger Tom Brockett. Hyde Heath Brownies returned on Monday after half term to celebrate Girlguiding's Thinking Day. Our local Brownies celebrate Thinking Day every year by playing a special game “the Brownie Food Game”. This game involves tasting different foods from around the world. On the menu this year was all sorts, from Peshwari naan bread to sun-dried tomatoes. The one food included every year is chocolate, and unsurprisingly this is always the most popular ! VALENTINES DAY is only a week away and the Shop will be stocking Cards and Gifts for that special person in your life . It could even be your Mother just show her how much you care. It is a shortened half hour service followed by coffee and croissants. This will take place in St. Johns on SATURDAY 9th February from 09.30am – 12noon. Sandra Wetherall under the banner of the National Garden Scheme is arranging to open her garden on 16/17th February for people to view the snowdrops. The display in the Churchyard is also spectacular and it would be excellent if there could be volunteers on hand in the Church to offer refreshments from 11am – 3pm. Please contact Gary Beynon on 774111. A NEW VENTURE suggested by GUY GRATTON to introduce a Games Evening in The Minstrels Gallery. This will take the form of CHESS: BRIDGE: CARDS: GOBOARD & PIECES: BACKGAMMON: ANY OTHER GAMES OF INTEREST . The first evening will take place on WEDNESDAY FEBRUARY 27th at 8pm. Contact GuyG@aircraft.com or just turn up. The Village Shop, School and surrounding areas would like to extend a big thankyou to the anonymous lady who so kindly and considerately cleared all the paths this morning, enabling safe footage for our residents. Training will be given for volunteers acting as guides and welcomers in the church. This will take place on Saturday 9th February at 9.30am – 12noon. In St. Johns. BURNS NIGHT meal on FRIDAY 25th JANUARY . To see the menu and make reservations phone Chris or Sheena on 01494 – 774408. Training will be given for the volunteers acting as guides and welcomers in the church. This will take place on Saturday 9th February at 9.30am – 12noon in St. John the Baptist Church. JED HARRIS - THE GUITAR MAN playing and singing hits from the 50's and 60's.